2011.03.19 • On behalf of all staff of the United Nations University, I would like to express my sincere and heart-felt condolences for all those who have lost their loved ones and their homes in this unprecedented disaster affecting the entire Tohoku-Kanto region and beyond. We have watched with deep sadness the events across north eastern Japan since the earthquake and tsunami on Friday. The loss of life has been tragic. Our thoughts are with those who have found refuge in the evacuation centres. We hope that relief supplies will have reached you by now and that your situation is improving gradually. We would like to express our respect to the valiant members of the rescue services from Japan and across the world, and to the members of the Japan Self Defense Forces, for their extraordinary efforts in response to this disaster. The situation at the Fukushima nuclear power plants is grave and we commend the brave and tireless work of those involved in trying to respond. To all the people of Japan, we are deeply impressed by the calm resilience you have shown in the face of such adversity. The entire world is watching and willing to offer you support in these troubling times and in the days that follow. I would like to repeat the assurances of the UN Secretary-General, Ban Ki-moon, the United Nations stands by the people of Japan and we will do anything and everything we can at this very difficult time. 2011.03.22 • The theme of the 2011 StEP E-waste Summer School, scheduled for 11–22 September in the Netherlands and Belgium, is "Closing resource loops — Complexities and solutions in managing e-waste". The applications deadline is 1 May. For more information, see the announcement on the UNU-ISP website. We regret to inform you that due to the Japan earthquake on March 11, the upcoming Public Lecture by Dr. Peter Maurer, Swiss State Secretary for Foregin Affairs has been cancelled. Through this programme, UNU-INRA will provide qualified scholars an opportunity to spend up to 4 months at the institute in Accra, where they will undertake research on topics related to the development and management of natural resources in Africa. The application deadline is 15 April. 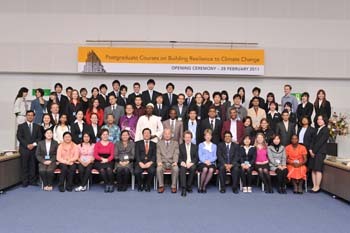 Group photo at the opening ceremony of the 2011 Postgraduate Courses on Building Resilience to Climate Change. Photo: DNP Photo Service. 2011-03-01 • On Monday, 28 February, the UNU Institute for Sustainability and Peace (UNU-ISP) held an opening ceremony at UNU Headquarters in Tokyo for its credited postgraduate courses on Building Resilience to Climate Change. The intensive 4-week courses were developed under the framework of the University Network for Climate and Ecosystems Change Adaptation Research (UN-CECAR), a collaborative initiative of more than 20 leading universities across Asia; UNU-ISP acts as the UN-CECAR secretariat. UN-CECAR is committed to developing postgraduate educational and research programmes on climate and ecosystems change, adaptation and sustainability science. The opening ceremony was attended by Mr. Kazuhiko Takemoto, Senior Adviser to the Minister, Ministry of Environment, Japan, who delivered a keynote lecture on "Japan's Policy on Climate Change and Biodiversity". He concluded his remarks with the final note that "climate change and biodiversity are inter-linked; 'adaptation' and 'REDD' [reducing emissions from deforestation and forest degradation] are a major bridge between the two subjects; knowledge sharing is a key. Financial mechanisms should be developed in a timely manner, and the UN system is expected to play an important role in addressing these challenges." The 2011 UN-CECAR spring courses, which will run until 25 March at UNU-ISP, cover a range of issues on sustainability and adaptation to climate and ecosystems change. Course topics include climate and atmospheric science, impacts assessment, climate and society, ecosystems resilience, risk and uncertainty, integrated solutions for mitigation and adaptation, mainstreaming adaptation into development planning, and community-based adaptation. Students also will receive practical training in the use of remote sensing and geographic information systems (GIS) for climate and ecosystems change research. Each course is worth 2 credits and comprises of 30 hours of teaching time. A number of universities have agreed to allow the transfer of credits for students who successfully complete the courses. Students also will be awarded a Certificate of Completion and receive an academic transcript from UNU-ISP. The courses are being attended by 34 students from 25 countries; of these, 14 students are registered at a university for their master's degree, 14 are registered as Ph.D. students, and 6 are researchers or professionals associated with an academic programme on climate change issues. The students will present their learning experiences at a closing symposium organized in conjunction with a closing ceremony on Friday, 25 March. 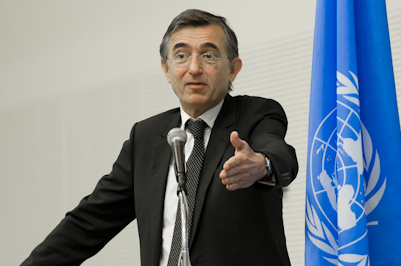 Philippe Douste-Blazy, Special Adviser to the Secretary-General of the United Nations speaking at UNU. Photo: Stephan Schmidt/UNU. 2011.02.24 • Philippe Douste-Blazy, Special Adviser to the Secretary-General of the United Nations on Innovative Financing for Development, and Chairman of the Executive Board of UNITAID, spoke at UNU headquarters in Tokyo on Thursday, 24 February 2011. His lecture, entitled "Globalization at a Crossroad: Solidarity or War" was intended to address how innovative financing mechanisms can support global solidarity and facilitate development efforts in the world's poorest nations. Dr. Douste-Blazy started his presentation by expressing appreciation to the public and especially to the young people in the audience. He explained that the world is at a critical crossroad. World economies are suffering from the effects of the global financial crisis and official development assistance (ODA) is under tight pressure. Yet, the need for assistance to people living in the world's poorest regions has never been greater. Dr. Douste-Blazy highlighted that in 2009 alone, while the developed world battled with financial deficits, debts and rising unemployment incurred by the crisis, 200,000 to 400,000 children died as a consequence of the crisis. Dr. Douste-Blazy explained how an increasing need for solidarity in an ever more interdependent world led to the creation of UNITAID. The organization is an innovative mechanism to raise additional funds for global health and complement efforts to increase treatment for HIV/AIDS, tuberculosis and malaria in developing countries. To support it, a new tax was incepted in France as of 30 July 2006: a one Euro tax which is levied on the plane tickets of all passengers departing from France with each Euro funnelled into UNITAID. Dr. Douste-Blazy then provided examples on how UNITAID does make use of the funds it receives, highlighting the development of appropriate antiretroviral drugs for children and a joint programme with UNICEF to minimize mother-to-child transmission of HIV. In the past four years, 14 other countries, including four from Africa, have shown solidarity by adding a one dollar tax to their plane tickets. Together, these countries have assisted UNITAID in raising more than two billion dollars. Dr. Douste-Blazy concluded his lecture by encouraging Japan to join UNITAID in this act of world solidarity. Audience members were invited to show their solidarity by writing to their local newspapers and encouraging the adoption of this innovative financing mechanism for development. A video of Dr. Douste-Blazy's lecture, including the question and answer session that followed, can be viewed on UNU's video portal. The Benefits of Biofuels: Unrealistic Expectations? Dr. Jason Hill speaks on "Biofuels Sustainability" at UNU-IAS in Yokohama. Photo: Makiko Arima/UNU-IAS. 2011.02.10 • On Friday, 4 February, the UNU Institute of Advanced Studies in Yokohama kicked off the UNU-IAS 2011 Seminar Series with a presentation on "Biofuels Sustainability: Lessons in Life-Cycle Assessment". 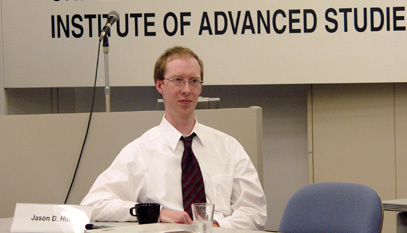 The lecturer was Dr. Jason D. Hill, Assistant Professor in the Department of Bioproducts and Biosystems Engineering, University of Minnesota (USA). Dr. Per Stromberg, a UNU-IAS Research Fellow, opened the seminar by introducing Dr. Hill as an established and much-cited contributor to the field of biofuels. The presentation that followed centred on the key question that Dr. Hill has been pursuing for the past five years: "Does the use of biofuels in place of oil benefit society?" Dr. Hill referred to his experience in using life-cycle assessment to understand the impact of corn ethanol production and use in the United States to reveal problematic aspects of current US energy policy. He focused particularly on the expectations surrounding biofuel benefits. Political disturbances abroad, and their effects on oil prices, have made Americans wary of their current dependence on foreign oil. Biofuels have therefore gained much attention in the USA in recent years, mainly because they are perceived as a means of achieving energy independence through the production of locally renewable fuel. Furthermore, biofuels have been touted as a "green energy" alternative that can mitigate climate change as well as reduce the risk of environmental disasters associated with fossil fuel production (such as recent oil spills in the Gulf of Mexico). These issues, combined with the complex political reality within the USA, have brought biofuels to the forefront of the American national energy policy debate. It is estimated that as much as 40 per cent of the total current maize (corn) production in the USA is used to produce corn ethanol to fuel cars. According to Dr. Hill, however, the research and the policies that promote bioethanol have some problems. This is due partly to the misuse of the results of past life-cycle assessments, and partly to the lack of current studies using appropriate life-cycle assessment methodologies. The US Energy Independence and Security Act of 2007 stipulates targets for renewable fuel production by 2022, but these targets only consider greenhouse gas reduction. While some research may indicate that corn ethanol emits lower levels of greenhouse gases than gasoline, this is very much dependent on the conversion technology used during the production and use of bioethanol. In addition, life-cycle assessments focusing on greenhouse gas emissions of biofuels sometimes fail to account for the full set of impacts from production to combustion. In his presentation, Dr. Hill argued that if the entire life cycles of gasoline and ethanol are to be compared properly, then the direct and indirect land use change associated with biofuel expansion must be factored in the life-cycle assessments. In fact, depending on the location and the previous land use regime, he said, it could take decades — or even centuries — before the carbon debt from ethanol production can be repaid. Furthermore, by focusing solely on the projected reductions in greenhouse gas emissions, US biofuel policies disregard other important impacts on human health and ecosystems. Current biofuel policies, for example, fail to consider the human health costs associated with biofuels' detrimental impact on air quality (particularly from particulate matter). To close his presentation, Dr. Hill identified areas in which his research could collaborate with the work that UNU-IAS carries out in ecosystem services and biodiversity. Dr. Hill is contributing to a forthcoming book, tentatively titled Biofuels in Developing Nations: Socioeconomic and Environmental Impacts, that is being edited by Dr. Stromberg and Dr. Alexandros Gasparatos, a JSPS-UNU Postdoctoral Fellow. 2011.02.07 • Pharmaceuticals, illicit drugs, personal hygiene products, chemical run-off … these and other pollutants are contaminating the giant aquifers under Mexico's Riviera Maya district (a popular tourism district on the eastern portion of the Yucatán Peninsula), according to a recent UNU-INWEH study. The area's highly permeable geology is characterized by numerous cenotes (sinkholes) that provide access to groundwater cave systems, making the aquifers very susceptible to contamination. While the level of pollution is not yet considered to be a health threat, the problem will almost certainly worsen, particularly since the district's population is predicted to increase by ten-fold in the next two decades. The study's findings "clearly underline the need for monitoring systems to pin-point where these aquifer pollutants are coming from," said UNU-INWEH Senior Research Fellow Chris Metcalfe. "Prevention and mitigation measures are needed to ensure that expanding development does not damage the marine environment and human health and, in turn, the region's tourism-based economy," he added. The study, part of UNU-INWEH's Caribbean Coastal Pollution Project, was conducted with the cooperation of Amigos de Sian Ka'an, a local nongovernmental organization. Among the groundwater pollutants found by the study were illicit drugs (cocaine and its post-digestion "metabolite" form, benzoylecgonine), chemicals from pharmaceuticals (including painkillers such as acetaminophen and ibuprofen) and personal care products (deodorants, perfume, toothpaste, hand-sanitizing lotion, etc. ), caffeine, and a metabolite of nicotine. The study points to pit latrines, septic tanks and leaking sewer lines as the likeliest sources of these pollutants, noting only one-third of the area is served by municipal wastewater treatment systems. Pesticide applications (such as on golf courses) and run-off from highways and other paved surfaces are also sources of groundwater contamination. The researchers note that the district has "a general lack of expertise and equipment for monitoring or tracking sources of pollution", and that there are "few administrative links between those responsible for water and coastal management and the labs that generate the (monitoring) data". Among the countermeasures recommended by the study are the installation of impermeable liners beneath golf courses and other turf-covered areas to restrict the leaching of contaminants, nutrients and pathogens; lined and impermeable drainage canals, retention ponds and treatment systems; measures to minimize aquifer contamination from hard surface runoff; adequate wastewater treatment infrastructure; a halt to injections of treated sewage into saltwater below the freshwater aquifer; implementation of an integrated approach to coastal zone management; and protection of all remaining mangroves, which serve to buffer coastal areas from pollution. 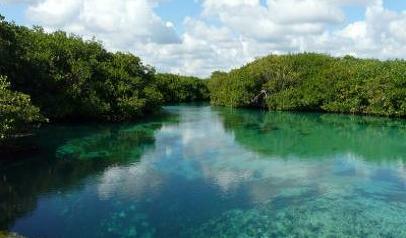 Without integrated approaches to protecting and managing the aquifer, the UNU-INWEH study warns, "the tourism-based economy of the Maya Riviera region will not be sustainable over the medium to long term". 2011.01.31 • Prof. Ramesh Thakur of the University of Waterloo (Canada), a former UNU Vice-Rector, returned to UNU Centre in Tokyo on 27 January to present issues covered in his latest book, The Dark Side of Globalization (Heine and Thakur, eds. ; UNU Press). The book, a compendium of contributions from leading authors from around the world, catalogues the complex, often-negative forces that have derived from the rapid internationalization of global trade, finance and information flows. 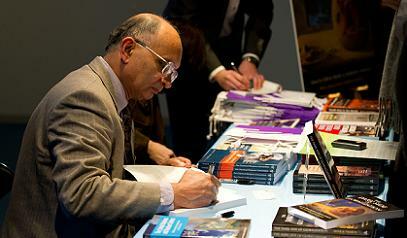 Prof. Thakur's presentation was part of the UNU Interactive Seminar on Global Issues Series organized by UNU Press. He covered the challenges that the dark forces of globalization pose to the international system: from arms trafficking in West Africa to armed insurgencies in South Asia to the upsurge of jihad in the age of globalization. While acknowledging the undeniable benefits of globalization for large populations in countries like China and India, Prof. Thakur made it clear to the capacity audience in Elizabeth Rose Hall that "the benefits and costs of the global economy have not been evenly shared". His thought-provoking comments generated a lively question and answer session. The seminar was followed by a reception in the UNU bookstore, where Prof. Thakur was on-hand to sign purchased copies of his co-edited book. 2011.01.19 • The United Nations University is ranked among the world's top-ten government-affiliated think tanks, according to the 2010 Global Go-To Think Tank Ranking report ("Think Tank Index"), and its World Institute for Development Economics Research (UNU-WIDER) is among the world's top-ten international development think tanks. The 2010 Think Tank Index, released yesterday, ranks the global UNU system as number 7 in the "Best Government-Affiliated Think Tanks" category, and UNU-WIDER as number 7 in the "International Development Think Tanks" category. "Even though we know that such rankings have to be taken with a grain of salt, we are very pleased that the United Nations University was evaluated so positively," said UNU Rector Konrad Osterwalder. "It confirms the success of our continuing efforts, as an academic and research organization within the United Nations, to serve as a bridge between the UN system and the international academic and policy-making communities." The judgment criteria for the rankings included an institution's ability to retain top-level analysts and scholars, the richness and rigor of its research, its access to policy makers, and its ability to influence policy decisions in such diverse domains as international security, globalization and governance, the international economy, the environment, poverty reduction, and global health. 2011.01.17 • The UNU Institute on Comparative Regional Integration Studies (UNU-CRIS) welcomes the signing of the Global Re-ordering: Evolution through European Networks (GREEN) contract by the European Commission (EC). This EC Framework Programme 7 integrated research project will be a four-year, 10-million-euro endeavour undertaken by 16 institutions from around the world, including UNU-CRIS. It will begin in March 2011 and run through February 2015. The aim of the GREEN project is to achieve an understanding of the likely directions of the emerging global governance structures, and of Europe's place in them. Is a multi-polar world with Europe as a pole is a possibility, or might an alternative scenario — such as a shift to a trans-Pacific locus of power, or a "depolarization" and fragmentation of authority — marginalize Europe's global role? The research will be theoretical and policy-oriented, and will encompass an interactive dissemination strategy to assure feedback from its target publics. The GREEN project will be undertaken by a consortium of European partners (from Belgium, Denmark, Hungary, Italy, Netherlands, Norway, Spain and the UK) with a strong track record of collaboration on these issues. Leading institutions from Argentina, Australia, China, Japan, Singapore, South Africa and the USA will play a hub-and-spokes role for their regions. 2010.12.27 • A delegation from the UNU Institute for Software Technology (UNU-IIST) visited the Liaison Office of the Central People's Government in the Macao Special Administrative Region (SAR) of the People's Republic of China on 15 December 2010. The two sides affirmed a commitment to forging a closer bond aimed at supporting economic and technology development in Macao and Mainland China. The UNU-IIST delegation, represented by Director Peter Haddawy and Senior Research Fellow Zhiming Liu, was warmly received by Mr. Kou Ming, Assistant Director-General of the Economic Affairs Department, and Mr. Dong Zhifeng, Director of the Economic Affairs Department. Prof. Haddawy introduced the strong and unique position of the United Nations University as both an academic institution and a part of the United Nations. 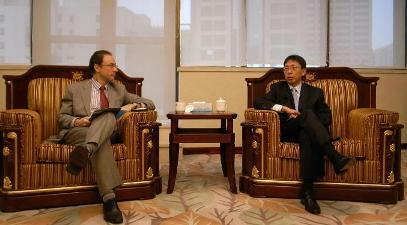 "Given the special position and superior reputation of the institute, we invariably collaborate with the top universities in the world and promote Macao in turn", said Prof. Haddawy. "UNU-IIST, for example, is establishing a joint Ph.D. programme with the University of Pisa in Italy, which is one of the strongest universities in computer science in Europe." Mr. Kou Ming said that he believed UNU-IIST can perform a more crucial role in the development of Macao and China, and assured the delegation that the Liaison Office will assist as a channel of communication. "The Macau SAR government is aware of the overwhelming weight carried by the gaming industry in the local economy, whereas we hope the rest can grow too," Mr. Kou Ming said. "There are some 30,000 small and medium-size enterprises in Macao which have the potential to grow regionally, especially in the Pearl River Delta. What they need now is an improvement on skill and management; to this end, I believe UNU-IIST can provide talents and technology." 2010.12.24 • Globally, in both poor and rich countries, agriculture is one of the few industries that remains largely owner-operated and reliant on family labour. Family farms typically achieve a high degree of efficiency, benefitting from the commitment of family workers, a flexible labour supply to cope with seasonal and annual variability of production, and an intimate knowledge about local soil and climate. In some countries, however, the limited success of smallholder-based efforts to improve productivity, among other factors, has led to policies that promote large-scale mechanized farming. Many crop-based farms in developing and transitional countries have operational units that exceed 10,000 hectares — often further horizontally integrated into "superfarms" that control hundreds of thousands of hectares. In "The Rise of Large Farms: Drivers and Development Outcomes", the featured article in the November/December issue of the WIDER Angle online newsletter (UNU-WIDER), Derek Byerlee and Klaus Deininger examine the trend toward large farms and the potential development impacts. The authors note that while growing private-sector interest in agriculture presents an opportunity for developing countries to capture much-needed access to capital, modern technology and new markets (and thereby spur agricultural growth and employment), the reality is that development outcomes to date often have been less favourable than expected, with investments infringing on the rights of traditional users and negatively impacting local communities. Other concerns addressed in the article include the negative effect of a growing inequality in land ownership on broad-based rural development and growth, the detrimental environmental impacts (especially where land expansion occurs at the expense of forests), and the harmful effects of land speculation and inadequate technology on potential financial and economic benefits. Early investments in Africa, for example, often failed, while many recent acquisitions have not resulted in action on the ground. The article goes on to discuss the factors behind the trend toward increasing farm size. These include the efficiency of plantations for some crops; the role that large farms play in opening new agricultural frontiers; recent innovations in crop breeding, tillage and information technology that favour large farms; and the effect of demands by buyers in high-income countries for certification of social and environmental sustainability. The authors note that large farms have emerged partly in response to policy distortions or market failures related to availability of infrastructure, technology, finance, property rights and insurance. Where markets do not work well, large firms comprising many operational units can reduce transactions costs and risks through vertical and horizontal integration. In terms of the policy implications, the authors conclude that providing a level playing field is the best way to ensure family farms can continue to compete, and to enhance social and environmental outcomes. To take advantage of rising private investment in farming, countries need to design rural development strategies that fit factor endowments and provide opportunities for small-holders and job creation, with special attention given to policy frameworks that provide rights to current users and the capacity to implement such policies. Read the full UNU-WIDER article here. 2010.12.20 • In late November, UNU and UNESCO agreed to establish a UNESCO–UNU Chair on Regional Integration, Migration and Free Movement of People. This new UNESCO–UNU Chair, to be located at the UNU Institute on Comparative Regional Integration Studies (UNU-CRIS; Bruges, Belgium) in cooperation with the University of Pretoria (South Africa), will be officially launched in February. 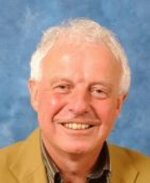 Dr. Bob Deacon, an Associate Research Fellow at UNU-CRIS and Professor of International Social Policy at the University of Sheffield (UK), will serve as the first holder of this UNESCO–UNU Chair. Prof. Bob Deacon, first holder of the UNESCO–UNU Chair on Regional Integration, Migration and Free Movement of People. The UNESCO–UNU Chair on Regional Integration, Migration and Free Movement of People will creatively address the opportunities and challenges of regional integration, including the social dimension of regional integration and migration. A particular focus will be on the free movement of people within South Africa and the southern African region. This UNESCO–UNU Chair will engender collaboration between a variety of partnerships and networks. The aim is to produce a set of orientation guidelines for local representatives highlighting the main problems that have to be addressed with regard to the free movement of people, and effective responses that may be implemented in different contexts. By bringing together academics as well as representatives of governments, and regional and non-governmental organizations, and private-sector organizations, this UNESCO–UNU Chair will function as a think tank and bridge builder, sharing its expertise to contribute (through research, training and capacity building) to making tangible the free movement of people in the southern African region by decreasing contentious debates and implementing an open problem-solving communication process. The UNESCO–UNU Chair on Regional Integration, Migration and Free Movement of People will join a number of other chairs and networks established cooperatively by UNESCO and UNU over the past two decades. These include the UNESCO–UNU Chair in Plant Biotechnology, Beijing University (China, 1992); UNESCO–UNU Chair in Cultural Rights, Universidad de Palermo (Argentina, 1994); UNESCO–UNU Chair/Network on Global Economics and Sustainable Development, Colégio do Brasil (1996); UNESCO–UNU Chair on the Concept and Practice of Zero Emission in Africa, University of Namibia (1996); UNESCO–UNU Mobile Chair in University History and Future, Universidad de Palermo (Argentina, 1997); Mediterranean Network on Water Resources, Sustainable Development and Peace, University of Nice-Sophia Antipolis (France, 1999); and UNU–UNITWIN Network of Africa-Asia University Dialogue for Educational Development, Hiroshima University (Japan, 2010). 2010.12.10 • The Council of the United Nations University convened its 57th session at UNU Headquarters in Tokyo from 29 November though 2 December. 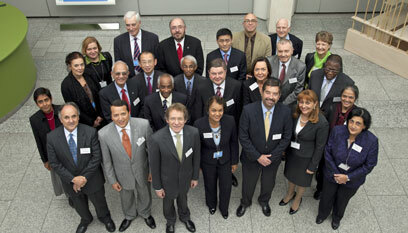 The Council, the governing board that formulates the principles and policies which guide the activities and operations of UNU, comprises 24 appointed members as well as the UNU Rector and three ex officio members (the United Nations Secretary-General, the UNESCO Director-General and the UNITAR Executive Director). The appointed Council members serve six-year terms. In 2010, fourteen new members (serving 2010-2016) joined ten incumbent members (serving 2007-2013). On day one of its three-and-a-half day session, the Council heard and discussed the Rector's annual "State of the University" report, the financial overview of the University and the UNU Strategic Plan 2011-2014. The Council also considered a range of strategic issues, including the UNU postgraduate programmes and related quality assurance framework and manual, the "twin institutes" initiative, and other ongoing and new initiatives (including the establishment of two new institutes: the UNU International Institute on the Alliance of Civilizations (UNU-IIAOC) in Barcelona, Spain, and the UNU Institute for Integrated Management of Material Fluxes and of Resources (UNU-FLORES) in Dresden, Germany). Day two was devoted to committee meetings that focused on the operation and activities of the global UNU institutes and programmes and on general financial and administrative issues. Day three consisted of a closed plenary session in the morning, followed by an afternoon visit to the University of Tokyo for a campus tour and a discussion of tertiary education in Japan, and an evening reception hosted jointly by the Rector and the Government of Japan at Roppongi Hills in the evening. On the final day, the Council heard and discussed the committee reports and conducted a variety of business, including approving a range of draft resolutions. 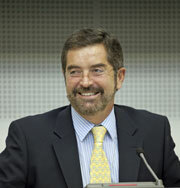 The Council re-elected Prof. Dr. Juan Ramón de la Fuente of Mexico as Chair of the Council for 2011. 2010.12.01 • During her first official visit to Japan, Ms. Irina Bokova, Director-General of UNESCO, delivered the keynote address at a UNU Public Symposium on "Climate Change and Education: UNESCO's Role in the 2010s". 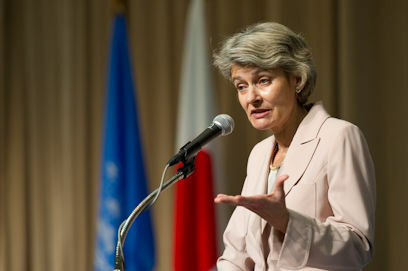 In her presentation at UNU Headquarters in Tokyo, Ms. Bokova provided an overview on UNESCO's new initiatives through which the organization supports research in such areas as advancing knowledge about climate change, preserving biodiversity, coping with social aspects of climate change and minimizing disaster risks. Ms. Bokova' s presentation focused on the importance of developing further educational activities in areas that are particularly vulnerable to the negative impacts of climate change. She expressed UNESCO's commitment to further its work by expanding the role of the UNESCO Chairs and other initiatives. Ms. Bokova also answered questions from members of the audience on such topics as cultural heritage, the role of youth and UNESCO's activities. After Ms. Bokova's lecture, there were presentations by Won Jung Byun, chief coordinator of the Regional Centre of Expertise on ESD Tongyeong, Republic of Korea, and by Hirofumi Abe, Dean of the Graduate School of Environmental Science, Okayama University. These were followed by a lively discussion, chaired by UNU Vice-Rector Kazuhiko Takeuchi. 2010.09.09 - "Environmental issues are global issues"
The U Thant Distinguished Lecture Series is a forum through which eminent thinkers and world leaders speak on the role of the United Nations in addressing the challenges facing the world's peoples and nations in the twenty-first century. The Fridtjof Nansen Memorial Lecture is held annually in a number of capitals around the world to commemorate the birth of the Norwegian explorer, scientist, humanist and Nobel laureate, Fridtjof Nansen (1861–1930). Named in honour of the late Dr. Michio Nagai, minister of education, science, and culture of Japan, these lectures provide a forum for eminent members of the international community to speak on issues related to education. THE MISSION OF UNU is to contribute, through research and capacity building, to efforts to resolve the pressing global problems that are the concern of the United Nations, its Peoples and Member States. 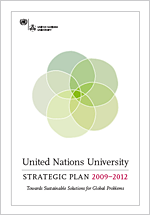 The Strategic Plan 2009–2012 outlines a vision to make UNU a more effective research and capacity development organization through sustainable solutions for global problems. Explore UNU's institutes, programmes and areas of research with Explore UNU. UNU Books is now open on the 2nd floor of UNU Headquarters in Tokyo, Monday to Friday from 10:00 to 17:00. "Priority Africa" provides a portal to the scope and variety of the UNU's Africa-focused work including our activities in and on Africa, the Africa Day Series, the TICAD process, and a series of short videos focusing on Africa. Watch UNU videos featuring interviews, experts and more on our Vimeo and YouTube channels. Our World 2.0 focuses on climate, peak oil, food security and biodiversity at a time we are witnessing a convergence of these issues. This brief assesses the 10 years since the adoption of SCR 1325, identifying lessons learned and emerging best practices, as well as shortcomings. It suggests what can be done to energize and advance the implementation of SCR 1325 in the near future, and recommends ways in which new actors can contribute to this process, including the newly-established UN Women. Track the Millenium Development Goals at MDG Monitor.